"Nascar used to be just a Southern sport. "Won't ever take the place of football, but it's one of the top four sports in America. Rednecks everywhere can rejoice! "Of course, with progress comes setbacks. In order to accomodate the growing fans, Nascar now holds races all across the country. That means that many venues which originally supported Nascar now have to offer other forms of racing. Rockingham now focuses on drag racing as there are no longer Nascar events held there. Sad, but I guess that's the price that must be paid for its growing popularity. "No matter what happens, though, Daytona will always reign as THE place to go for Nascar! And they will not let it go." "Are we to believe the same God who engineered a successful creation, gave man a sucessful human body, assigned man tasks which demanded success, stamped man's brain with a failure image?" "Success is much more than a matter of achieving the right things; it is also a matter of being the right person." "Of course God wants us to succeed in the task He has given us. He wants us to be mightily motivated, full of confidence, excited about life." I was interviewed yesterday for a newspaper feature and the question was posed to me - what is my favorite aspect of being an author? 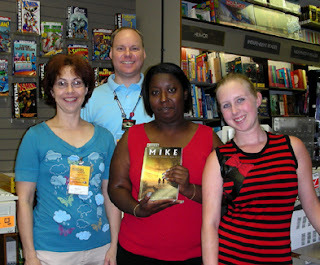 That is easy - getting out and meeting the readers! I thought writing was the most enjoyable part until I started doing booksignings - and then I just fell in love with meeting the people! Talking to someone, asking them about their own dream, and watching their eyes light up is just such a thrill. People are just so facinating and diverse! And I would never get this opportunity sitting at home in front of my computer. But with all of my signings, appearances, book festivals and seminars, I get to met thousands upon thousands of people every year! Easiest question I've ever answered! After a couple weeks off from book signings, it's back into the frenzy this weekend. 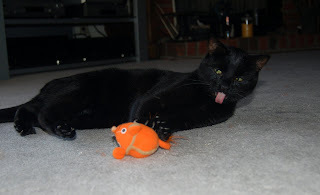 Then I've only got one Friday signing remaining in August on the Outer Banks of NC. After Labor Day, though, it gets nuts! Twenty-two more stores and ten seminars, between Sept. 8 and Dec. 8. Plus I've got a month-long blog tour in October. Guess I'm just a glutton for punishment! Or determined to achieve my dream! Be prepared, as acquiring an agent is difficult, especially for a first time author. You will likely have better luck searching for a publishing house first. Surely none of yours are that bad! Notice in every quote below, focusing is mentioned. Succeeding at any task requires the power of focus! Harry Potter Is Upon Us! And we'll all finally know if Harry Potter bites it or not! All across America, bookstores will be throwing Harry Potter parties and thousands upon thousands will line up to get their copy after midnight. Kinda funny, but with the stores selling Potter at 40% off or better, they are not making money on this deal. (The publisher & wholesalers will, though.) They will rely on the fans buying other items while waiting in line. And I have to confess that I have never read any of the books. (I have seen the movies, though.) So I will not be rushing out to get a copy. I will however, be reading the news tomorrow to discover who dies! The author is sad to end it, but she is probably very ready to tackle something new. Once I have completed Book V of my series, I will be delighted to attack a new story! I do plan to revisit the series later, so I'm not killing off any characters. Happy Birthday Rocko & Spunky! July 18th was Rocko & Spunky's second birthday. 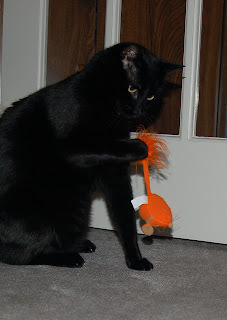 We celebrated by getting them some new cat toys, including the little squeaking mouse you see in the pictures. We don't know exactly when they were born, but from the vet's extimate, they were born about the time we put Calvin to sleep. Since we lost Calvin on the 17th, we made the 18th their birthday. And we've always joked that our sweet, white Calvin died a positive - and came back as two negatives! 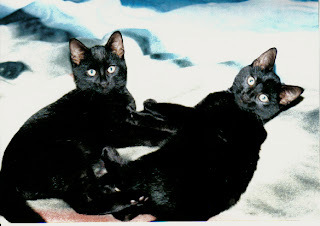 Rocko & Spunky as kittens. Stephen Bly is a pastor, a mayor, an antique Winchester gun collector and a writer.He's mayor of a town of 308 in the mountains of Idaho, on the Nez Perce Indian Reservation. In his spare time, he pursues the three R's of ridin', ropin' and rodeo...and construction of Broken Arrow Crossing, a false-front western village near his home.That keeps him very western. And he collect old Winchester rifles, which reflects his love of historical accuracy. He's also a fan of Jimmy Buffet music.Stephen says about his writing, "I write about the West (historic or modern) from the inside. Born and raised on western ranches, I have both the heart and mind to describe things as they really were...and are. There are those who think the frontier has long passed and with it the ‘code of the west.’ The truth is, both are still around...and it’s fun to show that in a contemporary story. 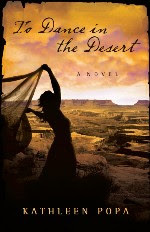 The West is so big, so diverse, so enchanting it’s a thrill to write about it in any era. "Stephen is the author of ninety-five books and hundreds of articles. My best friend is, of course, Craig. But my best girl friend is Dale. So here's to you, Dale! I love ya! 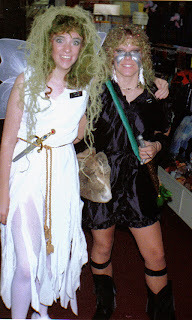 Halloween 1987 - no, we did not dress like that every day! "In the past, the media reported the news. Today, the media chooses what news it wants to report and promote. "If you don't believe that, just look at the recent media hype surrounding Paris Hilton and Beckham. "Beckham is an important figure in world soccer, however ... here in America, 99% don't really care! "He has been mentioned every day on sports shows such as PTI, Around The Horn and Sportscenter, and even those announcers have questioned all the hype. For some odd reason, the media is trying to force Beckham down the American public's throat as the greatest athlete ever. We're not buying it, though! Football is our #1 sport, followed by basketball, then Nascar and baseball, then hockey and golf ... soccer is WAY down on the list. So why all of the hub-bub? "I think once the media stops clamouring around Beckham, he's gonna wonder what happened!" "... overprinting a first book, rather than looking at the first press run as a test, is a common mistake made by new publishers ..."
"Free publicity is always more effective than paid advertising." "Another excellent source of publicity is public speaking." "Many successful publishers make it a point to do at least three things every day to market their books." "View each of your titles as an investment for the future." The owner of HCM Publishing, Peter's book also contains many book and website resources. A must for anyone serious about starting a publishing company!!! 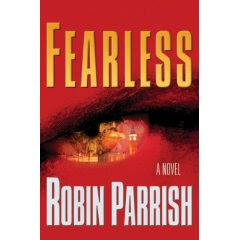 In March of 2005, he proposed to his future wife the same week he signed his first book contract.Born Michael Robin Parrish on October 13, 1975, Robin's earliest writing efforts took place on a plastic, toy typewriter, and resulted in several "books" (most between 10 and 30 pages long) and even a few magazines. Book Two of the Dominion Trilogy:The world changed after that terrible day when the sky burned, and now every heart is gripped by fear...Earthquakes, fire, disease, and floods pummel the earth, and its citizens watch in horror. But in the darkness there is hope -- an anonymous but powerful hero whom the public dubs "Guardian." He is Grant Borrows, one of a chosen few who walk the earth with extraordinary powers. But while Grant enjoys this new life, signs of a dangerous ancient prophecy begin coming true, and those closest to Grant worry he may be hiding a terrible secret.A search for answers brings Grant and his friends to London, where an extraordinary discovery awaits that will challenge everything they thought they knew. With a deadly new enemy dogging his steps, Grant realizes that the world's only hope may come from unraveling the truth about himself once and for all. But what he comes face-to-face with leaves even this most powerful of men shaken with fear. For any of you who saw Transformers this past week, you saw one of the most amazing movie trailers ever. Since then, the Internet is abuzz with this movie, working title "Cloverfield", and its connections to Ethan Haas. Rumours have it being "Voltron" or the next Godzilla movie, but the most convincing is the suggestion that the movie revolves around H.P. Lovecraft's monstrous Gods attacking Earth. So check it out for yourself! Wedding Bell Blues is the first in a new series, The Piper Cove Chronicles, that follows four women who grew up as best friends in a small community on the Eastern Shore of Maryland. They have returned home from their successes and failures at college and life, determined to pursue their dreams in the town they'd once vowed to leave in the dust. True love has eluded the four friends until one by one they encounter their soul mate. Next in the series is FOR PETE'S SAKE, on sale from Avon Inspire in April 2008.Alex Butler is a successful home decorator who hopes she has finally gotten her life together. But when Josh Turner, the man who ran away and broke her heart sixteen years ago, returns to Piper Cove to be the best man in her sister's wedding, Alex can't escape the butterflies in her stomach. But Alex has no time for distractions. Her family has enlisted her to make this the wedding of the century. To pull the event off, she pools the talents of her three best friends - Jan, who creates desserts to-die-for will help with the cake and catering, tomboy Ellen, who works at a landscaping business will handle the flowers and decorations, and Sue Ann, who can…well, Suzie Q can give Alex a much-needed reality check in the course of the wedding planning chaos.But fate won't be stopped in this small town as Alex and Josh keep running into each other at every turn. When sparks fly, Alex soon finds herself caught in a paralyzing battle of the heart between her old-fashioned Southern father, who fiercely resents Josh for breaking his little girl's heart, and her feelings for the one man she ever truly loved. Another awesome day in Southern Pines, North Carolina! Thanks to all of the fans & readers - and the great staff there at Waldenbooks. Thank God for air conditioners! Record highs are being set out West, including 127 in Death Valley. (Now that's hot!) We used to live in New Mexico, which could hit 100 easily during the summer, but it was a dry heat. Of course, once it's over 100, it doesn't really matter - it's hot & draining. I'm hoping a lot of them go to a book store this weekend for their air conditioning! Chuck served four years in the Elite 75th Ranger Regiment–the same unit profiled in the movie “Black Hawk Down.” Chuck saw combat in Panama in 1989. After leaving active duty, Chuck flew helicopters in the Wisconsin National Guard while attending the University of Wisconsin.In 2004, after ten years as a stockbroker, Chuck left that profession to pursue full-time writing. At the same time, he began working as the "Adventure Correspondent" for CBN.He is the author of five books, including A More Elite Soldier, Bulletproof, andAllah's Fire, the first of three books in the Task Force Valor series.Today, Chuck, Connie, and their five children live on a farm in Appalachia, where Chuck now pursues his varied interests of farming, writing, adventure travel and public speaking, among other things. EXPLOSIVE ORDINANCE DISPOSAL--THE BOMB SQUADAs the global war on terror heats up, the U.S. deploys a team of highly trained special operators overseas to locate and neutralize threats, bringing EOD expertise to dangerous missions that have no room for error.A DEADLY EXPLOSIONA new specialty explosive is on the black market: ITEB looks like water, but when it's exposed to air, the effects are lethal! The United States government is frantic to keep it from our shores. Staff Sergeant Euripides "Rip" Rubio knows how destructive ITEB can be. He has already risked his life to thwart a horrific terrorist plot involving the chemical. Now Task Force Valor heads to Panama, on the trail of an arms dealer who plans to use ITEB to make a killing...literally.AN ADVENTURE ABROADFernanda Lerida is a University of Florida grad student who jumps at the chance to join a biological expedition to a mysterious former prison island. But the snakes, bugs, and crocodiles are soon the least of her worries as the group stumbles upon something they were not meant to see. To Make matters worse, Fernanda soon finds herself alone and being pursued by an unseen foe.A RISKY RESCUEWhen Rip's path collides with Fernanda's, they find themselves caught in the midst of a brutal turf war. 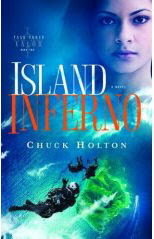 Can they use the chaos to their advantage, or will one false step set the entire island ablaze? 7-Eleven's have transformed into Kwik E Marts! Around the country, eleven 7-Elevens have changed their store fronts to resemble Kwik E Marts from the Simpsons. They are also offering Squishees (formly Slurpees) and Krusty'Os Cereal (courtesy of Malt-O-Meal) at every 7-Eleven. All of this to help promote the Simpsons movie, coming out at the end of July. This has got to be one of the funniest, greatest promotional ideas ever! Makes me want to go out and get a WooHoo Squishee. Wonder if Ahpoo will be manning the cash register? Every book or author comes up with a character that becomes someone's favorite. Sometimes it's the main character, sometimes it's even the villian. Sometimes it's not even human - my favorite character in Anne McCaffrey's Dragonrider series is Ruth, the white dragon. I have been asked about the characters of my books and recently noticed something. One would think that Lori would be the tie to all of the other characters. Indeed, she was for Books II & III, but she is not in Book IV at all, other than by brief mention. Indeed, the characters who are present in all five stories are Sarah & Matt. They are the real glue that holds together all of the stories. Perhaps it is because I miss writing about them that they continue to show up in the other stories. Perhaps it is because they are the most stable. Or perhaps it's because they are my favorite!